GSMArena team, 25 January, 2016. When you spend your days in the big city, winter hardly feels like a fun season. But once you step outside of the city's boundaries, the sweeping vistas of the snowy slopes make for some of the best photo opportunities. 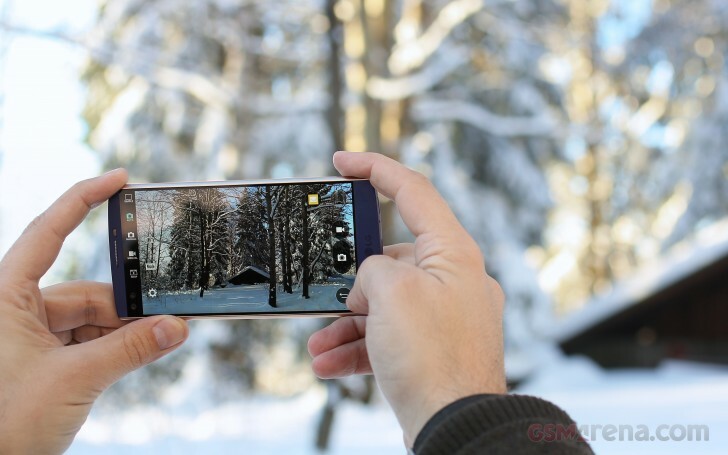 And regardless whether you ski or not, we bet you would be interested to see which cameraphone is best geared for a winter trip to the mountain. 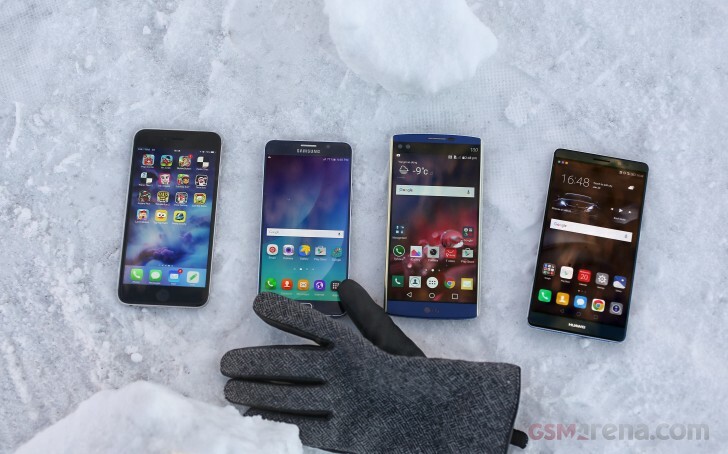 To answer this one, we grabbed some of the hottest phablets of the season - the Apple iPhone 6s Plus, the LG V10, and the Samsung Galaxy Note5 - and took them for a ride up the mountain to see how they handle the cold. We wanted to include the recently announced Huawei Mate 8 as well, but it turned out most of its photos were out of focus due to reportedly, a software issue, which should be fixed soon. We still snapped a few keepers with it, so you'll see it featured here and there. Coincidentally, the Meizu Pro 5 was with us on our little mountain trip, and we're glad it was as it will fill in the Mate8 shoes as the fourth phablet competitor. Meizu may not be such a popular brand in Europe or the USA, but the Meizu PRO 5 camera produces some spectacular daylight shots, so we're sure it will be up to the challenge. Best of all, we captured our field test trip on video. Since it contains potential spoilers regarding the results that we got, we've embedded it on the last page of this article. On the other hand, if you don't feel reading the whole thing, you can skip directly to the video. Now, meet our lead stars, the three mountaineers ready to take on a snowy adventure. 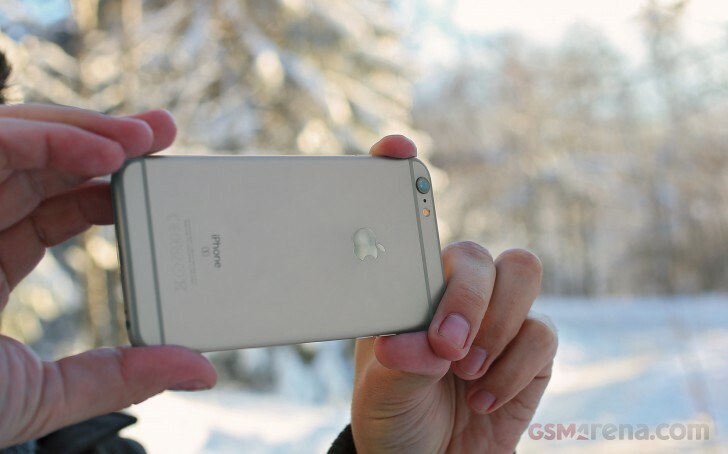 The Apple iPhone 6s Plus has the smallest screen of all compared phones, but it's the biggest screen Apple offers. The Live Photos feature also provides an innovative way of capturing short, action-packed video scenes on the slopes. LG has an extra durable design and as a nice break from the current crop of flagships, you can swap its battery for a fresh one once you've gone through its charge. There is also a microSD slot. Our previous camera shootouts confirmed it's also got one of the best cameras - be it day or night. We'll have to see whether it can hold its own up high on the mountain slopes. 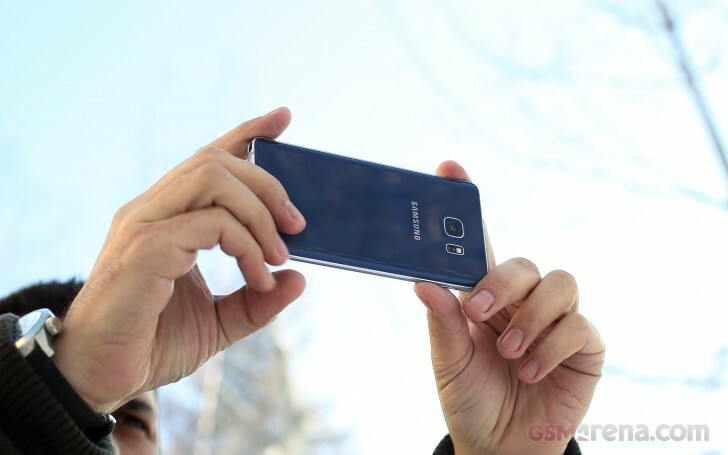 Now that the Samsung Galaxy Note5 is finally about to become available in Europe, the interest in this flagship phablet is higher than ever. And for good reason - it should be cheaper than the identically equipped Galaxy Edge+ and it offers the industry-leading S-Pen. It also provides a high sensitivity touchscreen out of the box so you can use it with the gloves on when out in the cold. You can't replace the batteries of both the Meizu Pro 5 and the Huawei Mate 8, but the Mate 8 is the only other phone besides the Note5 that has a dedicated glove mode. And that's an important consideration when we're talking -10C temperatures. Okay, this should be enough of a presentation - we bet you already know these devices in and out. Let's see how good their cameras would be when faced with lots of sun and snow.